Of those with a history in the child welfare system, almost two of every five respondents eventually "aged out" of provincial or territorial care, losing access to the sort of support that could have kept them from becoming homeless, the study found. 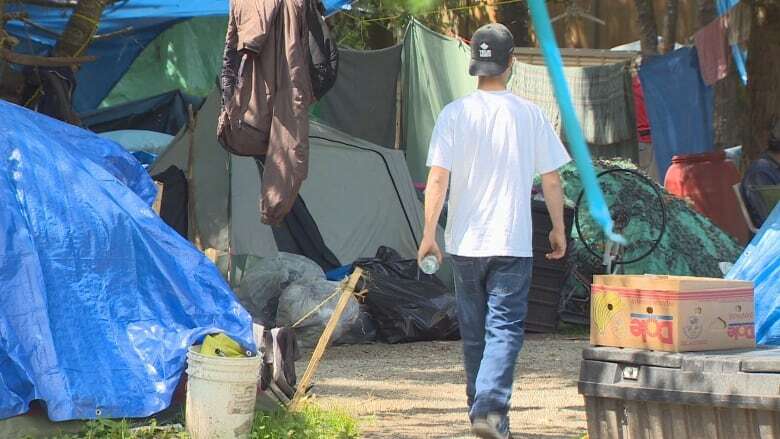 Canada is creating a group of young people who are at higher risk of becoming homeless because they lack resources when coming out of foster care, said Stephen Gaetz, the study's co-author and director of the Canadian Observatory on Homelessness. The report urges the federal government to focus on preventing youth homelessness — particularly among Indigenous youth — and provinces and territories to focus on "after care" by providing support as needed until age 25. "We're not calling out child protection services. We're not pointing fingers going, 'It's horrible what you're doing,'" Gaetz said. "Rather, we're saying this is an unintended consequence of a whole number of things, but it's something that we can identify as leading to bad outcomes when young people leave care." Prime Minister Justin Trudeau, the Liberal government's self-proclaimed minister for youth, may want to champion the issue himself to ensure system-wide changes, he added. The study, based on a survey of 1,103 young people who were experiencing homelessness in 42 different communities in nine provinces and Nunavut, offers the first national portrait of Canada's population of homeless youth. Aged 13 to 24, homeless youth make up about one-fifth of Canada's homeless population. In raw numbers, that means there are about 6,500 people in that age cohort experiencing homelessness on any given night. The problem is particularly acute for Indigenous youth, who in 2011 made up nearly half of the children in care nationally. Statistics Canada is set to release more census details about Canada's Aboriginal population later this fall. "None of these approaches can be a one-size-fits-all approach," said study co-author David French, director of policy and planning with A Way Home, a national, anti-youth homelessness coalition. "So when you speak about Indigenous young people or young people who identify as LGBTQ2S, or new immigrant young people, each of them does require a targeted response underneath a specific strategy." LGBTQ2S stands for lesbian, gay, bisexual, transgender, queer and two-spirit, the latter term referring specifically to members of the Indigenous community. Last week's census figures also showed one in three Canadians aged 20-34 lived with at least one parent in 2016, an increase of five percentage points between 2001 and 2016. The numbers were particularly acute in some of the country's hottest housing markets, with one in two young people living with at least one parent in Toronto last year. Child protection legislation hasn't kept pace with these social and economic changes that have made it more difficult for young people to live independently, Gaetz said.